Nike just ‘did it’ and has done it better than every other sporting goods manufacturer for a long time. They’ve motivated us to want to be better than we are – athletically, and do it in a spirited and fun way. Welcome to the gamification of ‘civilian sports’. We’re all competitive in our own way - if you say you’re not, you’re lying. 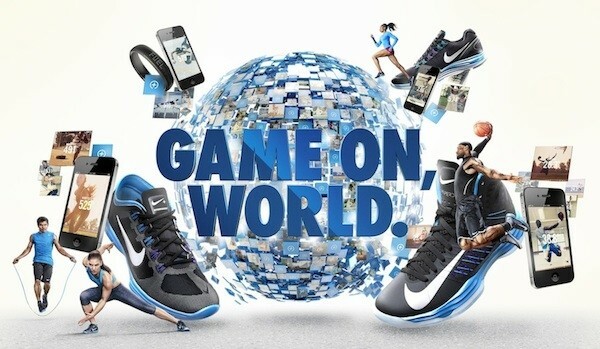 What I love about what Nike has done is that they’ve taken that competitiveness and made a game of it. With Nike+ and Nike Fuel, Nike is – as they say – ‘Making Life A Sport’. Along the way, they are gathering TONS of data around individuals and their workout habits – which will, in turn, predicate products of the future. Add a social layer to it – as they do with both Nike+ and through their Fuel Band (both linked to Facebook and Twitter) they have an army of ‘athletes’ marketing their products – without spending a dime. Pretty ingenious if you ask me. Game On, World.